Now that summer has come to an end, it doesn’t mean that you should take a break adventuring until the first sunrays of Spring appear. Autumn is a great time of the year to try out some new adventures; there are fewer tourists around, travel is generally cheaper and the sea has warmed up to a nice temperature. Whether you are in Wales or Portugal, there’s nothing better than surfing between September – November. Summer’s usually tend to be a bit more flat, with less consistent swell. In Autumn the swell returns and there aren’t many beach-goers to get in your way! The sea has warmed up over the summer months and has now hit the perfect temperature. You may have to avoid other surfers in the line-up but luckily Wales and Portugal offer many beaches to choose from! 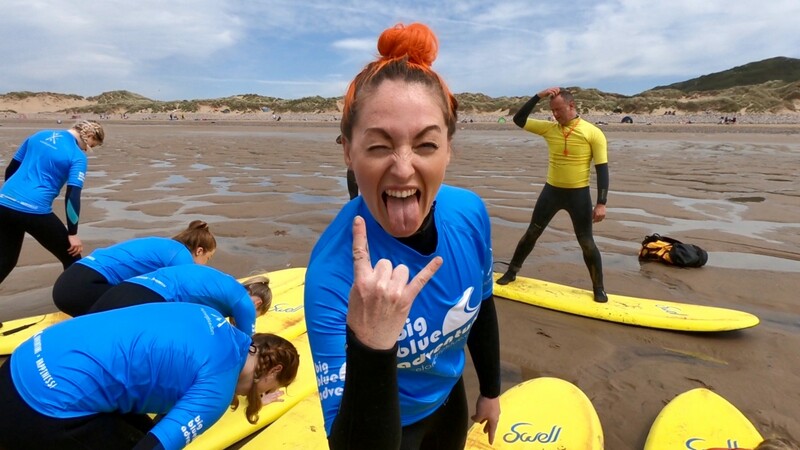 In Wales our favourite surf spots are Llangennith Beach & Rhossili Bay in Gower, and Whitesands & Newgale beach in Pembrokeshire. If you’re in Portugal, check out Praia do Guincho & Carcavelos near Lisbon or Praia da Arrifana in West Algarve! One of our latest activities is wakeboarding in Pembrokeshire, and we are totally hooked! We love wakeboarding in Autumn because a wakepark offers protection against the autumn swells and there are lots of timeslots available in low-season. Because the water in the lake is very shallow it warms up very quickly over summer, so you don’t need to worry about the cold. If it happens to be a horrible autumn’s day, within minutes you can pop under a warm shower and get yourself a hot chocolate at the wakepark café. Rather stay dry? Try your hand on rock-climbing! 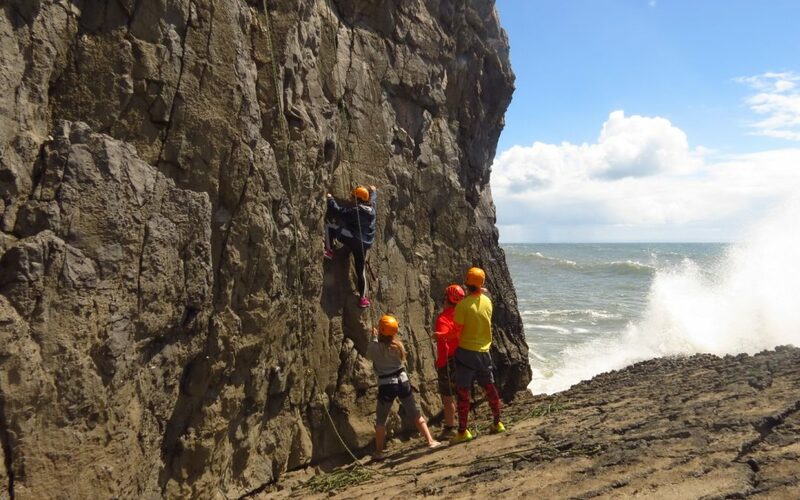 Whether you prefer climbing on the coast or in the mountains, Wales offers various venues to give this thrilling outdoor sport a go! Choose between the Gower Peninsula, Brecon Beacons National Park or Pembrokeshire Coast National Park. There are routes available for complete beginners as well as experienced climbers. Though the activity was first born in Wales, it has now commercially spread all over the world with Sesimbra being one of our favourite spots for coasteering! Near Lisbon you can find the beautiful Arrabida National Park, with the small beach town Sesimbra. Coasteering here in Autumn is great because it still feels like summer! The Autumn swells also make coasteering at this time of the year even more adventurous. If you’re lucky you may even spot some dolphins! There’s nothing worse than hiking up a steep mountain on a scorching hot day in the height of summer. This is why we love going hiking in Autumn, the outside temperate is still mild and a bit of rain makes the hike feel more adventurous. The Rota Vicentina in Algarve is a very easy self-guided hike which takes you passed an impressive coastline with tropical looking plants and down some small forestry areas. 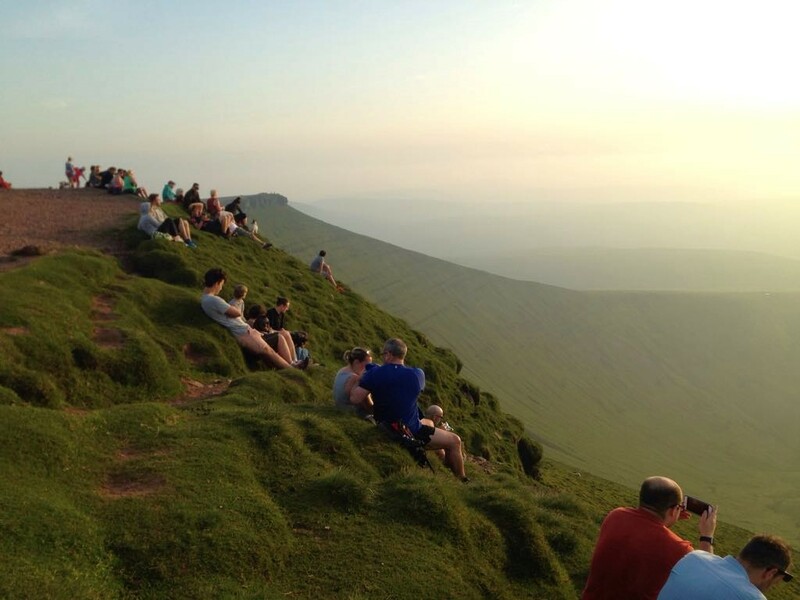 If you’re looking for a guided hike then choose Brecon Beacons or new in 2019, Snowdonia! The mountains are waiting to be explored and a guide will take you off the beaten track, away from the regular routes leading you up the summit. A must-visit area when you are in Portugal is Sintra, a UNESCO World Heritage site. It’s easy to see why with its dozens of fairy-tale looking palaces & castles, tucked away in a tropical jungle with its own microclimate, it’s a place like no other. And what better way to explore this unique piece of paradise than by bike? Start at the top near the famous Pena Palace and make your way down forestry’s, towards Peneda & Guincho beach. Mountain-biking here isn’t that easy during the summer season when thousands of tourists rush to Sintra, blocking up the roads. We hope you’re inspired to plan your next adventure this autumn!